Extra 10% saving already included in these prices - Book and pay in full by 30th April 2019! Upgrade to Business Class Available when booked by 31st May 2019* - Please call for details! Discover the world’s most intriguing ports while travelling in extraordinary style aboard Silversea’s intimate luxury cruises. Silversea is committed to offering unrivalled service and an exceptional on-board experience. All-suite, ocean facing accommodation comes with butler service and superior extras, from designer cosmetics to a bar stocked according to preference. Exquisite dining, champagne, wine and spirits; and onboard gratuities are always included. With unique itineraries, including smaller ports of call where big ships cannot go, Silversea sails to more destinations than any other cruise line and offers the ultimate experience in luxury cruising. Book & pay in full by 30/4/19 for 10% saving in the cruise costs - incl in prices above. Otherwise full fares will apply. Free Business flights where shown are subject to availability and if not available, Economy Class will be provided instead, or an Air Credit. Reduced flights & Free Shore excursions, where advertised, are subject to availability and on only selected Shore Excursions but guests must be utilising the Silversea air offer. 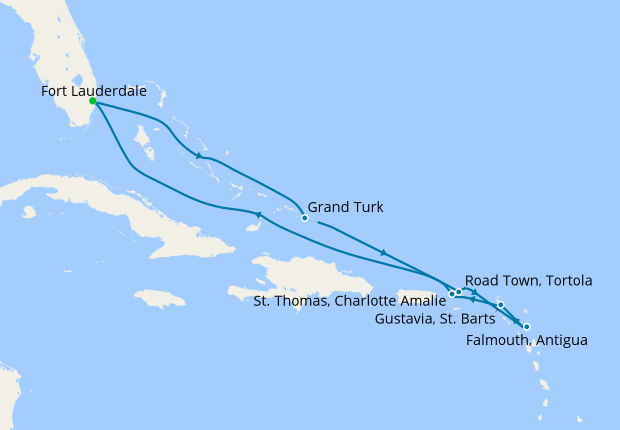 Where 'hotel stays included' are shown on selected Far East voyages, this is one night pre-cruise and one night post-cruise stays, unless otherwise stated. Offers can be withdrawn at any time. Included transfers from airport to ship are available only for guests utilizing Silversea's air offer, and are subject to availability. Return Economy class flights (or business upgrade offer) where advertised, are also subject to availability. Offer expires on the 31st May 2019, but can be withdrawn at any time.